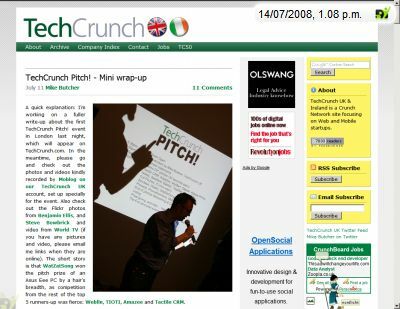 It was a great evening, when the first TechCrunch Pitch! event in London took place on Thursday last week. Only a handful start-ups had the chance to present in five minutes their product and company. Jan, our CEO was one of the lucky guys to do so and he was very close to the top. In the end, WatZatSong won the pitch but weblin together with TIOTI, Amazee and Tactile CRM belongs to the Top 5 European start-ups, ranked in this evening. Xbox 360 comes with avatars!